Dharamshala: CTA President Dr Lobsang Sangay addressed students of summer camp organized by Upper TCV school. Every year Tibetan students from the diaspora get enrolled in a summer school camp program wherein the students are given education and exercises to learn Tibetan language, culture, music, history and basic teachings on Buddhism. This year, 71 students have come from various parts of the United States, Canada and Europe. 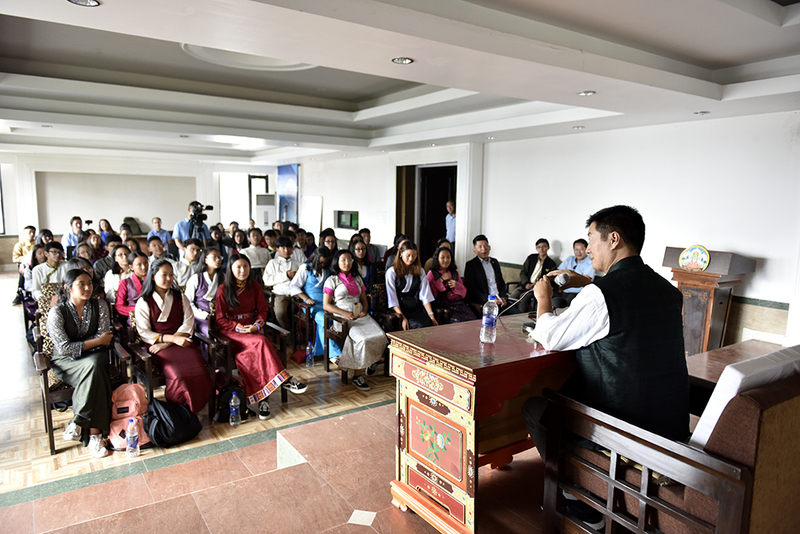 President Dr Sangay briefed the students about CTA and its functionaries. He then spoke about the issue of identity crisis and the struggles often faced by Tibetan children born and raised in overseas. He advised and urged the students to integrate into their respective communities but do not assimilate in the process. Meanwhile, he also reminded the students to be aware of their roots and true identity. President also indicated that today’s generation lacks the sense of resilience which must be practised by focusing on strengthening the awareness of inner strength and urged the students to be capable enough to contribute to the cause of Tibet. Emphasising on the need to integrate without having to assimilate, Dr Sangay cited examples of three greatest kings of Tibet and Lotsawas (translators) who diligently practiced resilience and hard work to ensure that Tibet remained an independent nation possessing a distinct language, religion and culture etc. Thus, he reminded the students that they have an extra responsibility to carry forth the ideals of the great kings and Lotsawas. Meanwhile, President also shared some of his personal experiences and the challenges he faced to achieve what he had achieved today. 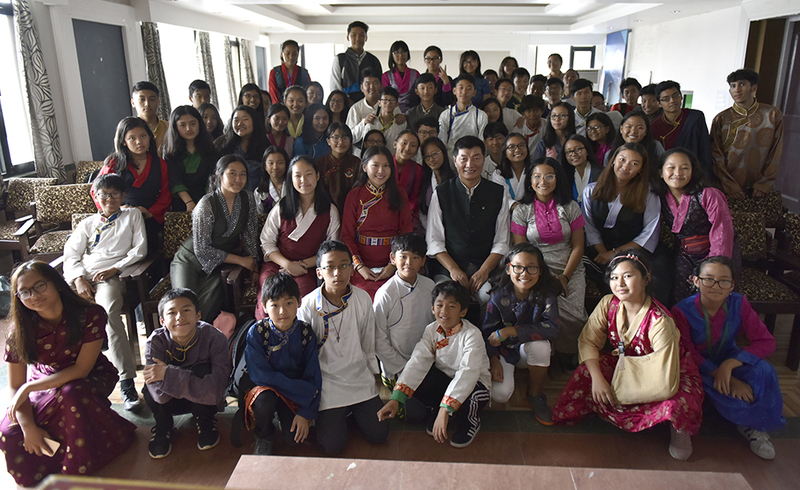 The highly interactive session between President Dr Lobsang Sangay and the students of TCV summer school program ended on a positive note with President commending them for their participation. He also urged them to excel in their respective fields not just for the sake of making a career but to contribute to the greater good.